Looking for an easy and efficient way to add living space and value to your home? The solution may be right below your feet. Basement extensions have become increasingly popular recently, and with good reason. The cellar is an often underutilised space that usually serve as nothing more than simple storage rooms. And yet many have found that they may become so much more, serving as day-to-day living spaces. 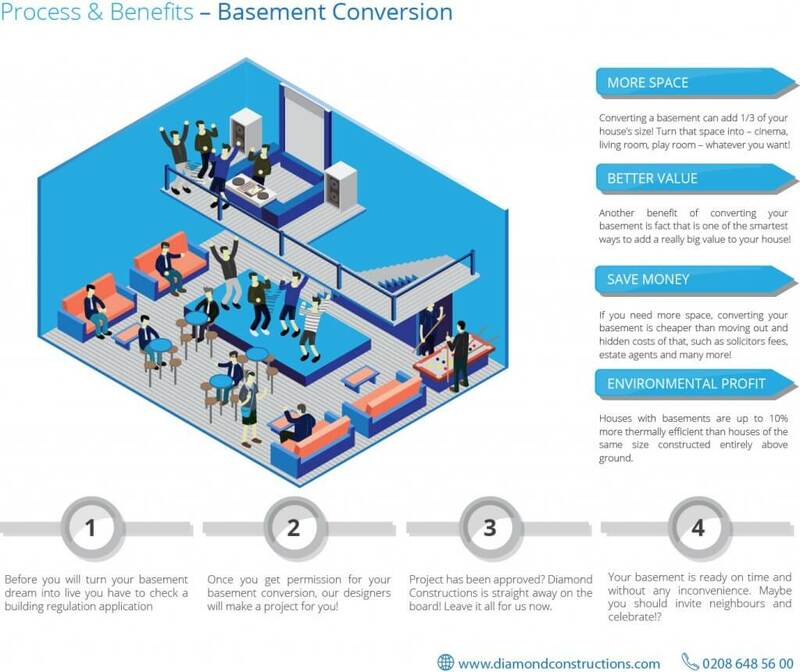 Besides granting you more space to live in, basement extensions can help improve the value of your household. Experts say that, depending on the location of your home, as well as the value and style of the extension, this simple procedure can increase the value of your home by up to 30 percent. This has caused basement extension to become particularly prevalent in several areas of London, such as Fulham. Before deciding on whether this type of extension is for you, you should contact your local estate agent. They will help you determine how much value, if any, this procedure would add to your house. If you are planning a new build then there is no such concern, as long as your plot is suitable, i.e. it is not prone to flooding and provides good access for excavation work. If you plan ahead on a basement, you will gain a whole additional floor of extra space. Planning windows into the design of the well or courtyard at this stage is bound to allow in much more daylight. You should, however, take your time evaluating whether or not you should attempt retrofitting a basement into your existing house, as this is the most expensive undertaking. Make sure you can redeem any outlay you make – the amount depends on your property value, which can be really high in places such as the centre of London. 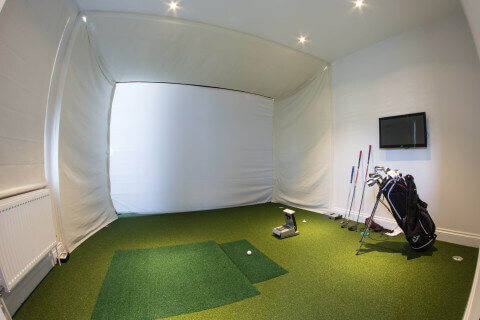 Basements can be fitted under most conditions. There are, however, a few factors that can become a hindrance. High water tables in particular pose a problem, so the closer you live to a river, for example, the more difficult it is to obtain permission to expand your basement. And even if you do, building the basement will be a challenge in and of itself. Besides that, there is the issue of solid floor, which often are simply too hard to fit a basement into. It is also impossible to build a basement into a structure that is built on raft foundations, as they can’t be underpinned. Also, before making your decision, make sure you are the appropriate distance away from the road, so as to allow your crew proper access to the area of construction. What are the planning requirements? You might require planning permission depending on your situation. While it most likely won’t be required when adapting an existing cellar, therefore all the work is internal, you will require planning permission when excavating to create a basement from scratch. It’s always a good idea to consult your local planning authority to make sure. Furthermore, your project needs to comply with Building Regulations, on which your local authority should also provide you with advice. In cases when you share a wall with a neighbour or intend to dig deeper than the foundation of your neighbours, you will need to ask for their consent and it needs to be provided in the written form. What’s a cavity drain membrane system? The technology used to construct basements has changed quite rapidly throughout the last decade. In the past, little work would be done besides digging out a hole and finishing it out with cement. Sadly, the lack of proper waterproofing meant that leaks were bound to happen after several years, creating the collective mental image of basements of damp spaces prone to flooding. This has, naturally changed. We currently use waterproof concrete to underpin foundations, then adding a heavy, studded membrane that helps reduce dampening further. The studs gather all the water into a gulley, and later into a pump chamber that drains the moisture away. The pump functions only when necessary and is completely inaudible. Its performance is constantly monitored so you can be instantly informed of any problems. Refashioning a basement adds interior space without sacrificing exterior space, while also being much closer to the living area of your house than a loft. Planning consent is generally easy to obtain, especially if there have been basement conversions in your street in the past. Basements add value in urban areas. The process of underpinning may add stability to an old building. Modern waterproofing methods used in basement extensions help make the entire house drier and safer, which in turn makes it more energy-efficient. Soundproofing can help make the room in your terraced or semi-detached house quieter. The basement is a versatile space that will help free up space in other areas of the house. It can serve any purpose you need it to serve, or you can even treat it as a separate entity – the choice is yours! The process itself is very invasive. Expect lots of noise and mess, along with limited access to your house. Granted, the process has greatly improved in recent years, but it’s still an incredibly complex procedure, which can become even more complex depending on your plans. Annual plumbing inspections are a must. The process of burrowing in is very disruptive, creating lots of noise and dust. It is bound to be a nuisance not only to you, but also your neighbours. Unforeseen problems may arise, especially if there is a shared wall. It might turn out that the room receives insufficient natural light in the end. Due to safety concerns, costs may increase for the sake of adding a better access route. The procedure is expensive and not much value may end up being added in the end.